Kellogg's Anaaj Ka Naashta, 2014 was started to spread awareness on the importance of building breakfast as a healthy daily habit. As part of its nation-wide communication campaign, individuals were encouraged to make a pledge on the importance of eating breakfast every day. 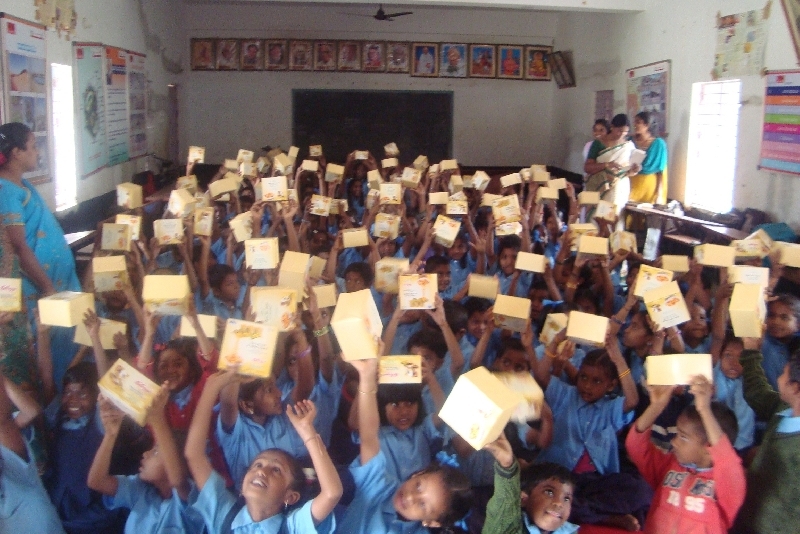 For every pledge made, a one- day breakfast kit was gifted to children. For the month of January 2014, individuals in India were encouraged to pledge by sending SMS texts, missed calls and WhatsApp messages. At the end of the campaign, 4,00,182 individuals pledged to have breakfast everyday which resulted in the opportunity of breakfast distribution to 4,00,182 children from 1542 schools / institutions in India. Kellogg India partnered with United Way of Mumbai and its NGO Network partners in order gift these breakfast kits to children across 6 cities in India. Through this breakfast initiative, breakfast cereal, milk, an awareness pamphlet educating children about the importance of breakfast, etc were distributed as part of the breakfast kit.